So everyone knows now. I must say that I was extremely shocked and have spent the last 24 hours enjoying some of Michael's best songs and watching endless youtube videos. He was one of the finest performers of all time. He invented music videos and the paparazzi. He made Thriller which stayed in the Billboard top 10 for 80 weeks and donated 7 singles to the Billboard Top 10 in one week. He integrated MTV by being the first black artist to have his video aired. "Bad" was my first cassette I can remember and I still bust the moonwalk (sort of) whenever on hardwood without shoes. He followed in line right behind Elvis, whose eccentricities almost matched their talent. The last 10 years were not easy to watch and it makes it even tougher to listen to the eulogies that will arise this week. Of all the videos I watched today this one was new to me. James Brown calls Michael up on stage who then calls Prince up on stage. It was a rare scene when James Brown was the "well adjusted" one. It seems to me that had Michael had a semi-normal upbringing he may have turned out a lot like Prince. I wonder if they ever hung out? Hula Girl, originally uploaded by mmilway. My friend, Bill, sent me this hula girl for my new dashboard. she lasted one day before she toppled over. I need some super glue and a little bit of time and she'll be back in the game. Thanks a lot Bill. Now just get me a plane ticket from hawaii and we'll be cool. I'm already working on my base tan. Joel Plaskett depicts a typical weekend for me in his latest video. Driving along the east coast just trying to see what i can see. He just rides in slightly more style than me. I'm pretty sure most of this was filmed around Lunenburg and Peggy's Cove in Nova Scotia. Thanks to CBC radio 3 for the heads up via Twitter! 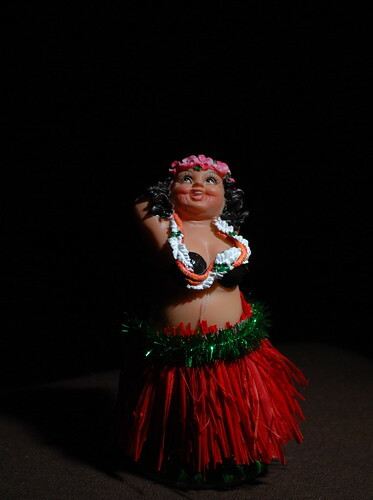 Also in my automotive news, my Hula Girl just arrived from Hawaii and pictures will follow shortly. Incredible! there's straight to DVD movies...but this one takes it to a whole new level. As a blogger it is not my responsibility produce any news or material that is newsworthy or carry any sort of journalistic integrity. What I am supposed to do (one of my many responsibilities) is connect news stories that have yet to be connected becasue a) no one sees the connection b) no one cares c) there is actually no connection. Last year around this time Canadian indie band Holy (explative deleted) was in the news because a funding program meant to support canadian artists was cut by the Conservative government. An unnamed MP sited the potty mouthed band as a reason for the cut. Now if you are a fiscal conservative (like me) you were glad to see that tax payer money was no longer going towards a band whose sole purpose was to impress hipsters in a dingy New York clubs. But if you like the idea of government funded arts programs intended to help Canadian artists show off thier work on an international stage you were probably quite upset (like me) about the cut to the program, especially over such ephemera. Well a recent ad has turned the tables such that those that were happy (like me) should now be upset and those that were upset (like me) should be happy. Holy (Expletive Deleted) has allowed Chrysler to use their song Lovely Allen in one of the company's commercials. Chrysler, running most on the tax payer dime, has passed the bail out onto the "Larry Bird's mustache of indie rock" (their words). I just hope that Holy F*ck got paid in cash upfront. Here is my new stop-motion video. In this lame production a bare a little less of my body and my emotions...so bare with me...sorry. There is a Director's Slice on my Flickr account with a different song. YouTube did not let me use The Yeah Yeah Yeah Song by the Flaming Lips because it is owned by the Warner Music Group....Fascists. The music in the YouTube version is "I Need A Life" by the Born Ruffians. I hope you enjoy!